This Record Power DPV4 3 ¾" (95mm) Capacity Drill Press Vice has been expertly cast in fine grey iron. It has a machined face and features rolled acme threads for smooth and fast operation. This Record Power DPV3 2" Capacity Drill Press Vice has been expertly cast in fine grey iron. It has a machined face and features rolled acme threads for smooth and fast operation. This Record Power DPV5 5" Capacity Drill Press Vice has been expertly cast in fine grey iron. 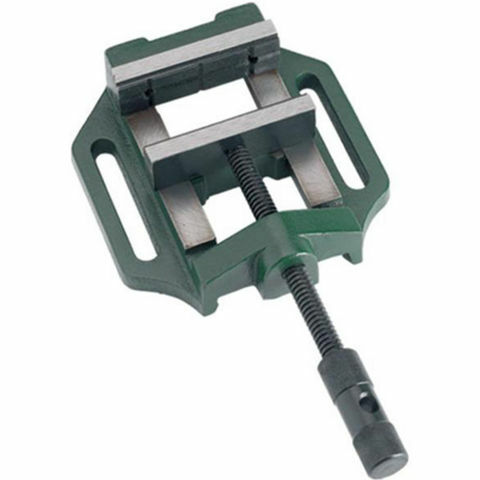 It has a machined face and features rolled acme threads for smooth and fast operation.